At The Wright Kitchen, we understand that your kitchen is the heart of your home and that no two kitchens are the same. We offer a complete line of high quality, affordable kitchen cabinets that can be specifically designed to make your space functional, efficient and beautiful. We work with homeowners from concept to completion and ensure that your renovation is as easy and inexpensive as possible. We have two showrooms to visit: Burlington Showroom and Head Office: 4087 Harvester Rd. Unit 3 & 4 Burlington, Ontario L7L 5M3 Our second showroom is located in Ancaster, Ontario at 240 Wilson Street East, Unit 10. Moffatt & Powell Rona Ltd. Your home is where your family makes memories to last a life time… Make sure it’s the backdrop you have always envisioned. Our team has what it takes to bring your vision to life. Whether you are hoping for a simple refresh of a bathroom, an update to your basement, adding better functionality to your kitchen space, or transforming your entire main floor into your dream oasis, Edge Kitchens has the skills and professional know-how to bring it all together. 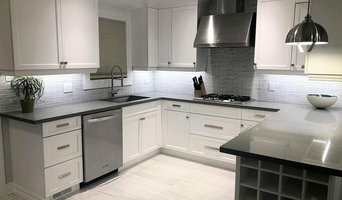 Edge Kitchens is family owned and operated custom kitchen and bathroom renovation company in Oakville, ON. Our team brings over 20+ years of experience in home renovations. We strive to exceed our Customer’s expectations from the initial consult, design, and installation to ensure a positive experience and successful job. Let us design your dream space and see what all the fuss is about – you won’t be disappointed! 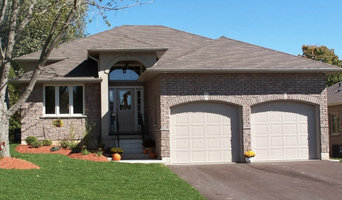 At Vicana Home Renovations, we are a business that has been established for over 15 years in the GTA. We specialize in all aspects of home remodeling. We work with licensed and insured professionals to help each homeowner have a smooth and positive experience. We help and guide homeowners through the entire renovation process. HQ Construction & Supplies Inc.
HQ Group - Construction & Supplies | Kitchen & Bath provides construction and remodelling services and supplies building materials to residential homes and also serves commercial businesses for their renovation and maintenance needs. We look after your needs for kitchen, bath, and all your home improvements and renovations. We provide solutions and supply both services and building materials at unbeatable prices. NEW START KITCHENS is a retailer of a distinctive and stylish line of finished cabinetry for kitchens. Our cabinets are well suited for homeowners who dream of an elegant yet very affordable kitchen. We offer our customers an excellent variety of kitchen cabinet styles. All of our cabinets are constructed from real wood, and have many must-have features. Features like, soft close dovetailed drawers, plywood boxes, full extension under mounted glides and 100% Solid Wood Maple doors … No MDF doors or particleboard boxes here!! NEW START KITCHENS takes great pride in offering all-wood cabinets with all the same key features as custom cabinets. Our mission is to bring each client the beauty they want; the quality they expect – and deserve; and a price that’s remarkably affordable. Our team will work closely with you to ensure your needs, ideas, and expectations are met and exceeded. Do you have thoughts of renovating, building new, or adding value to a home you’re thinking of selling … we certainly can help, with a budget-friendly quote! We offer free no obligation design services, computerized 3D renderings, professional installation and second to none service. NEW START KITCHENS is located in Burlington Ontario, and serves the Halton Area, such as Oakville, as well as the surrounding areas like Ancaster and Hamilton. For affordable kitchen renovations including wood kitchen cabinetry, granite/quartz countertops, sinks and faucets, contact New Start Kitchens today! Kitchen Land is a one stop shop for all your kitchen needs. At Kitchen Land we design the kitchen of your dreams, provide you with numerous choices of luxurious kitchen cabinet manufacturers that are all made in Canada, then we install your kitchen cabinets, counter-top, flooring of you choice and all the essential that are required by your project. Kitchen Land can remodel your home entirely or simply replace your kitchen cabinets. The scope of the project is completely up to you. Kitchen Land specializes in various types of kitchens from traditional to contemporary and everything in between. We do any type of home renovation: bathroom renovation, basement renovation, kitchen renovation, fireplace renovation, drywall repair and painting (interior and exterior); Flooring replacement, carpeting, decks and fences. We also offer handyman services and plumbing and electrical repair by licenced plumbers and ESA approved electricians. COXSON-McINNIS is more than just a quality brand, we are a family business serving Burlington, Oakville and surrounding areas. We specialize in Kitchen Remodeling and Custom Millwork and differ from other kitchen companies in both our breadth of door style and finish options and our unique range of remodeling solutions. Key Benefits: • A fully integrated company, we build our own cabinets using local materials and the latest technology. • We provide exceptional value in terms of product quality as well as our design and installation services/ • Our selection of door styles, finishes and remodeling options enable us to accommodate a wide range of budgets. • Over the past decade we have completed more than one thousand kitchen renovation projects. • We guarantee our prices, are fully insured and will gladly provide references upon request. • We have a remodeling solution for every budget. In addition to New Custom Cabinets we offer the options of ReStyling your existing cabinets or to Simply ReDoor. If you are handy we can supply custom made doors and or cabinets for do-it-yourself installation. What does a Nanticoke kitchen and bath remodeling expert do? 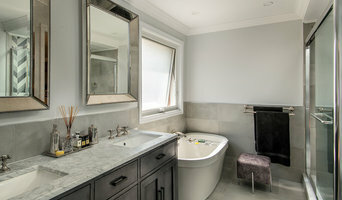 Licensed Ontario kitchen and bath remodelers are contractors who specialize in altering the structure of an existing space, rather than building one from the ground up. Because he or she must deal with a previous builder’s work, the job can get more complicated than new construction. You might wonder why they often specialize in both kitchens and bathrooms, but if you think about those two spaces, they actually have a lot in common. Kitchens and bathrooms include an abundance of fixtures that require careful planning and installation, including sinks, faucets, tubs and toilets that all need water hookups and drainage. They also use similar materials, such as tile and stone for countertops and flooring, due to the nature of their use. So it makes sense that Nanticoke kitchen remodelers and bathroom remodelers be one in the same. A bathroom or kitchen remodeler translates architectural plans from page to reality; some are also trained to provide design services so that you don’t have to hire a separate pro. Like a general contractor, a kitchen and bathroom remodeler in Nanticoke, ON is responsible for hiring and supervising subcontractors and providing materials when necessary. They also should have a thorough knowledge of Ontario building codes and construction-related legal issues, as well as current design and product trends. Here are some related professionals and vendors to complement the work of kitchen & bath remodelers: Woodworkers & Carpenters, Kitchen & Bath Designers, Interior Designers & Decorators, Architects & Building Designers, General Contractors. Find a Nanticoke kitchen and bathroom renovator on Houzz. Narrow your search in the Professionals section of the website to kitchen and bathroom remodelers in Nanticoke, ON. You may also look through photos of Nanticoke, ON spaces to find kitchens or bathrooms you like, then contact the bathroom or kitchen remodeler who worked on it.